Gross, who has more than $1 million in online tournament winnings and $2.9 million in live cashes, today enters the WSOP Main Event patched up as a member of Team PokerStars Pro looking to make a big splash. 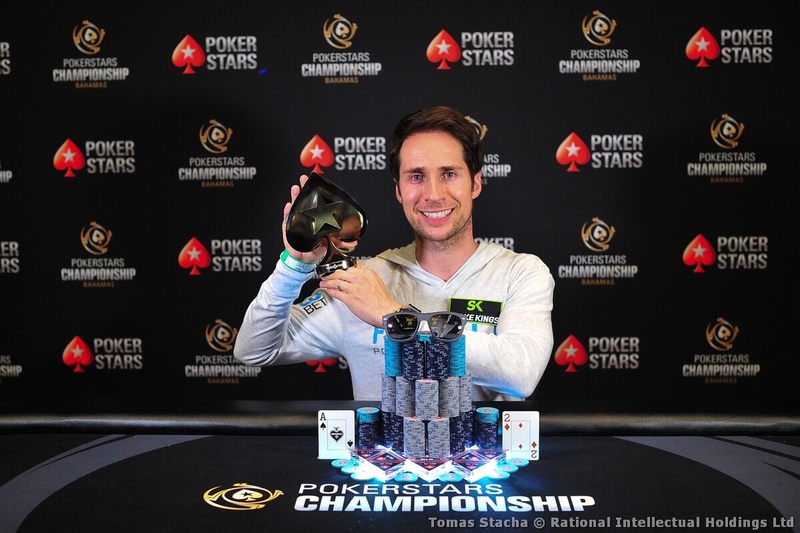 A passionate enthusiast of the game, Gross has been received well on Twitch where he has run up 29,000 followers and 1.69 million views at his Poker Flow Show channel, which can be found at ‘JeffGrossPoker’. In October last year, Gross participated in a 24/7 stream-a-thon for seven days to raise money for Michael Phelps Charitable Foundation alongside Team PokerStars Online members Jamie Staples and Kevin Martin. Gross is a friend and former roommate of the Olympic swimmer. Gross also participated in Bill Perkins’ StreamBoat extravaganza. Gross is currently in Las Vegas at the WSOP and will be heading to Barcelona in August for PokerStars Championship Barcelona. PokerStars is the flagship brand of Rational Group, which is ultimately owned by Amaya Inc. (Nasdaq: AYA; TSX: AYA) and operates gaming-related businesses and brands, including PokerStars, PokerStars Casino, BetStars, Full Tilt, StarsDraft, and the PokerStars Championship and PokerStars Festival live poker tour brands (incorporating aspects of the European Poker Tour, PokerStars Caribbean Adventure, Latin American Poker Tour and the Asia Pacific Poker Tour). Amaya, through certain subsidiaries, is licensed, approved to offer, or offers under third party licenses or approvals, its products and services in various jurisdictions throughout the world, including in Europe, both within and outside of the European Union, the Americas and elsewhere. In particular, PokerStars is the world’s most licensed online gaming brand, holding licenses or related operating approvals in 17 jurisdictions. PokerStars.com and PokerStars.eu operate globally under licenses from the Isle of Man and Malta governments, respectively.